At Home, Door and Window Products we know that security is our top priority, and security storm doors have an important job to do. Not only do they make a first impression, but they protect your home from outside weather elements. Our showroom provides a full line of the latest and most advanced storm doors and entrance security storm door options anywhere! 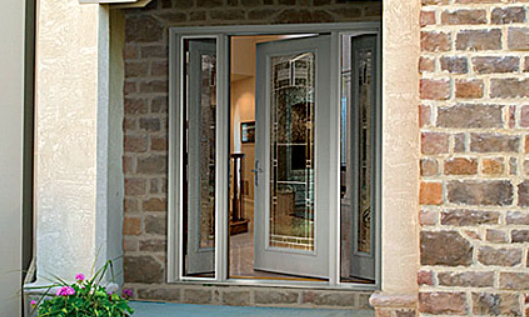 Chose from distinct styles and beautifully designed storm doors in a variety of frame colors. We are confident that at Home and Door we have a storm door option to fit your style, and affordably priced to meet your budget. The quiet tree-lined streets of the small city of Clawson offer a friendly, small-town atmosphere to its nearly 12,000 residents. Located in Oakland County, Michigan Clawson is part of the Detroit metro area offering residents big city amenities. Home and Door knows that when the residents of Clawson are looking for strong storm doors and quality brands like Fox storm doors and Trapp storm doors they call us! Providing top-rated security storm door products is what has made Home and Door the first company in storm doors in and around the community of Clawson. At Home and Door, our storm doors are energy efficient and cost effective, saving our Clawson customer’s time and money. Our professional installation team is knowledgeable on the latest options and styles so you can rest assured that your new Home and Door storm door will exceed your expectations. We are proud to carry Trapp storm doors known for engineered rigidity, best-in-class materials, and contemporary designs. Call Home, Door and Window Products today for a free in-home estimate for your new storm doors, or for more information on our extensive selection of security storm doors call (248) 399-9900.